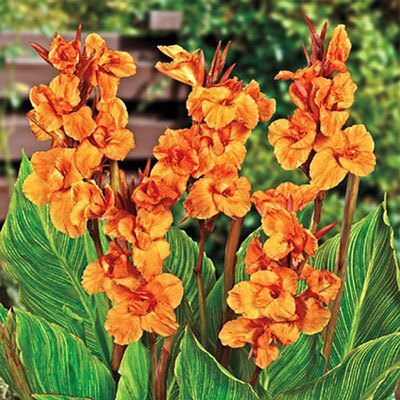 This canna has huge, melon-orange blooms on strong, tall stems. Striking foliage is zebra striped with alternating bands of cream-yellow and green. Ht: 3-4'. 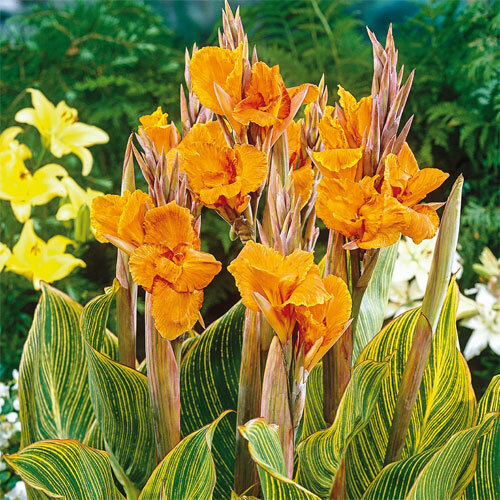 3" petals and sepals united to form large, flared flowers which are clustered along the top portion of the stems.